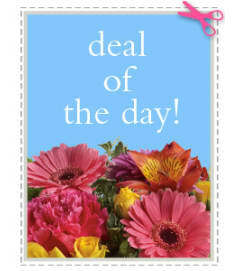 A glorious gift for any occasion! 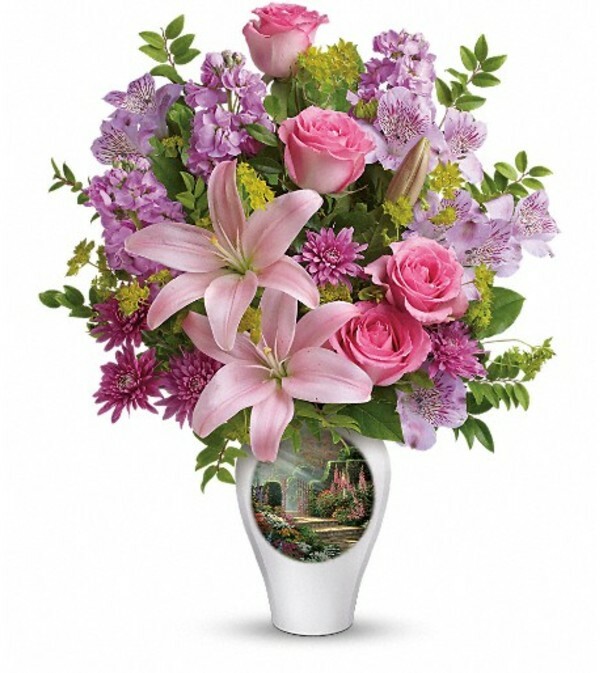 Bursting with color and fragrance, this beautiful pink and lavender bouquet is lovingly arranged in a keepsake vase featuring Thomas Kinkade's Garden of Grace painting. 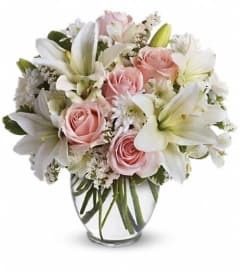 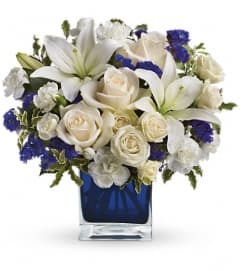 Pink roses, pink asiatic lilies, lavender alstroemeria, lavender stock and lavender cushion spray chrysanthemums are arranged with bupleurum, huckleberry and lemon leaf. Delivered in Thomas Kinkade's Garden vase.